In its battle for survival, Sears Canada is trying to shed its old-school image and replace it with a fresh look and hipper brands. 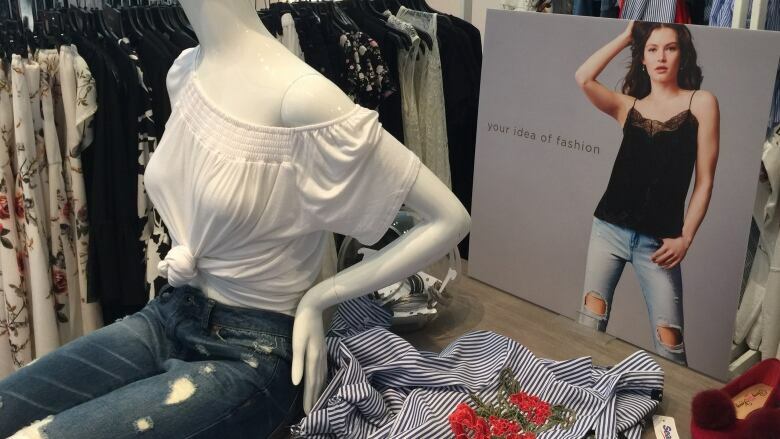 It has even opened a flashy pop-up store in downtown Toronto that sells trendy ripped jeans and keeps quiet its affiliation with Sears. Meanwhile, the retailer is currently hemorrhaging cash, closing 59 stores and laying off almost 3,000 staff as part of a court-supervised restructuring process. And while many people agree the retailer needed an image overhaul, some retail experts say it's too late to start now. "When the ship hits an iceberg and is sinking, rearranging the menu in the dining room is not the [solution]," says Toronto-based retail analyst John Williams. "It's too little, too late." The pop-up shop on Toronto's trendy Queen Street West is supposed to be a showcase for the new Sears. "2017 is the year for change and reinvention," Brandon G. Stranzl, executive chair of Sears Canada, said in a statement in April. As part of its reinvention, Sears has remodelled stores with a sleeker look, redesigned its website and opened the pop-up shop to introduce urbanites to its new brands: a Sears private-label; a line of discount designer brands; and a trend-focused fashion line targeting younger customers. 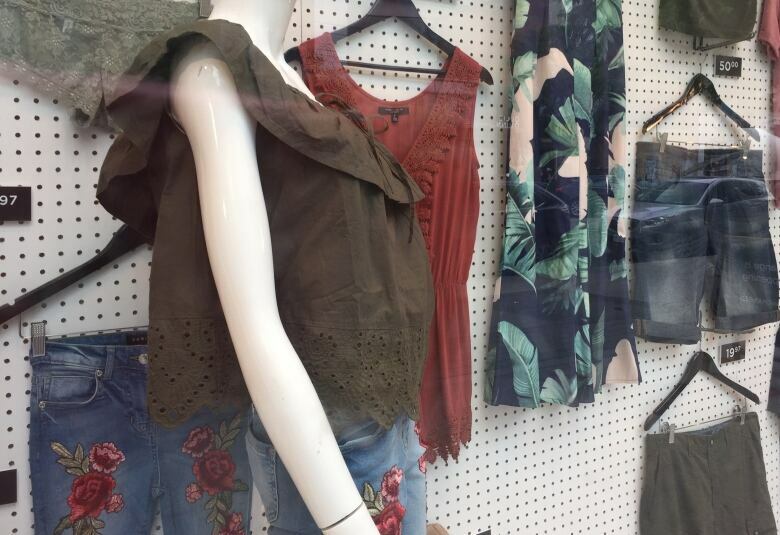 "This pop-up shop shows the savvy, fashionable and cost-conscious urban Toronto shopper that we are a hot NEW destination," stated Stranzl. "Some Torontonians have never experienced Sears Canada, and can now re-discover us and experience the WOW." "Wow" isn't exactly the word that comes to mind when many Canadians think of Sears. 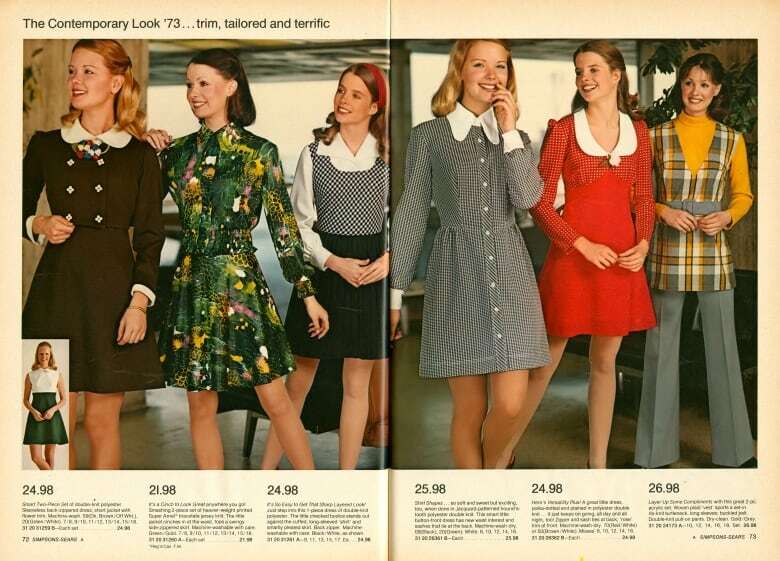 Parent company Sears, Roebuck and Co. set up shop in Canada in 1952 and won over customers with its mail-order catalogue and iconic department stores. But the retail landscape has changed and critics say Sears has failed to keep up. 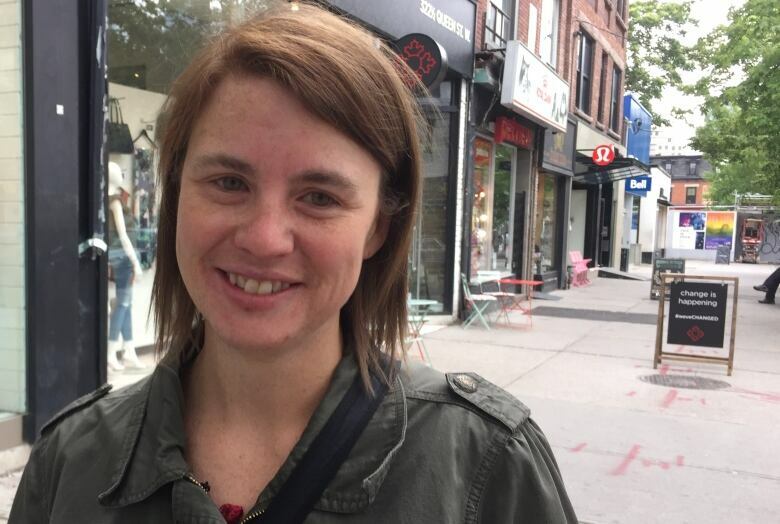 "Old ladies' store, that's what I think about Sears," says Cathy Doyle, from Winnipeg. "I just find that the clothing is very dated and it's very old." So perhaps it's no surprise the pop-up shop shows no Sears signage on its exterior. Instead, it boldly displays the mysterious message: #weveCHANGED and some of its new styles in the window. Only when browsing through the flowery dresses, embroidered jeans and flip-flops inside does one notice the word "Sears" printed on clothing tags. 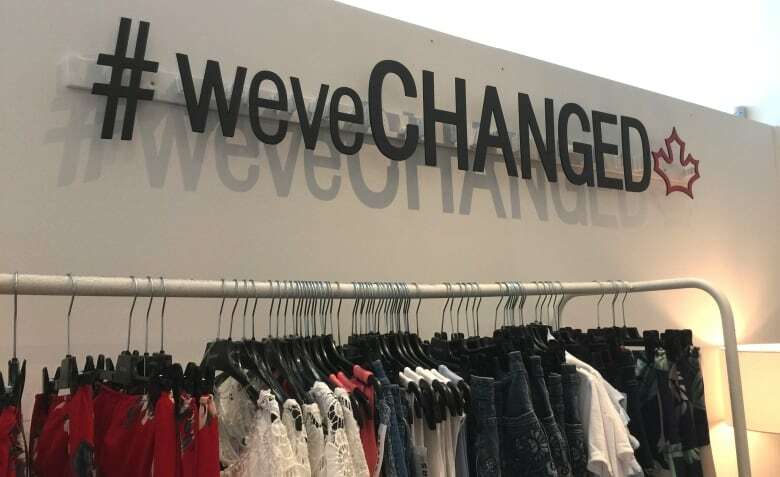 Instead of advertising itself as Sears, the pop-up shop displays the slogan #weveCHANGED to represent a revamped retailer. Doyle, who was in Toronto on vacation, passed by the shop without any idea who owned it. "I can see why they're not telling you it's Sears. They want to get you in," she says. Still, the hip new look wasn't enough to entice the 43-year-old Doyle to enter. "This is just too young for me. I'm just middle of the road I guess." Passerby Jeff Chan also wasn't interested in checking out the pop-up shop, saying he believes the department store belongs to an older generation. "They didn't adapt to the times and now they're paying a price for it," he says. Instead, he's sticking to his favourite stores, like Marshalls and Winners, that already offer discount designer brands. Retail expert Williams has scoped out the pop-up shop and says he found it appealing; he discovered some designer T-shirts at a good price. It's a great idea for Sears to try to revamp its image, he says. But it can take years for a retailer to rebrand itself and attract a new following, he adds, and with Sears' future in peril, it's likely running out of time. "This is not going to save them," he says. Fellow retail expert Bruce Winder agrees. When he saw the pop-up shop, he says he was impressed — but not optimistic. "I thought 'Wow, it's too bad they didn't try something like this earlier,'" says Winder, with the Retail Adviser Network in Toronto. "The experimentation that they're doing like this, they should have done this 10 years ago," he adds. "It's hard to restart a brand and it takes a lot of money and a lot of time, of which they have neither, unfortunately." Sears, however, has a more optimistic outlook. In a statement Thursday, Sears Canada said that sales grew in the last two quarters and attributed the increase to its rebranding initiative that is "starting to resonate with consumers." 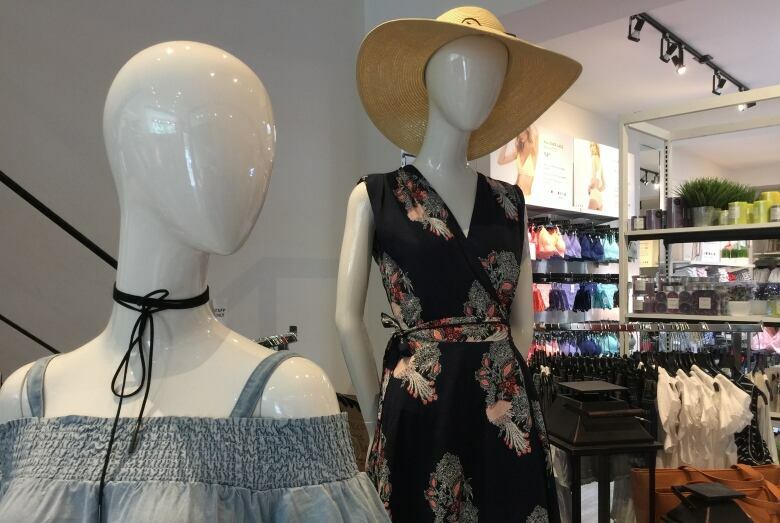 The department store also said if it's granted protection from its creditors, it can continue its restructuring and be "better positioned to capitalize on the opportunities that exist in the Canadian retail marketplace."